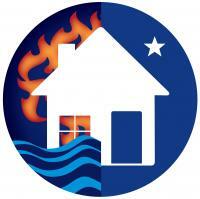 Fire and water damage mitigation and reconstruction. American Restoration, Inc: Water, Flood, Sewage Mold Remediation, Fire Damage/Smoke Damage, Content Restoration, Storm Repairs, Roof Repairs and General Contracting. As a preferred property restoration provider we have seen various different types of catastrophic damage. We are committed to getting your life back on track as quickly, efficiently, and affordable as possible. We are open 24/7 365 days a year and no job is too big or small. Both commercial and residential, we are equip to handle any giving situation with the most up to date state of the art equipment. Whether you are facing a flood, fire mold, storm, sewage, wind, vandalism, death scenes or some other catastrophic disaster we are here for you.